Sen and Mamdouh tell the story of ROC-NY’s founding and the ups and downs of its subsequent campaigns on behalf of New York’s restaurant workers, critically assessing the challenges faced by advocates for immigrants’ rights and drawing lessons from the local story about ROC-NY for the broader, national debates over immigration reform and globalization. 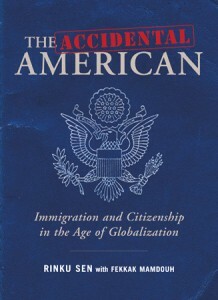 Sen previously wrote about ROC-NY in a 2007 article, and she and Mamdouh discuss the themes of the book in a short video prepared in connection with the book’s release. They launch a national book tour in New York on September 3, 2008 (details are available here).